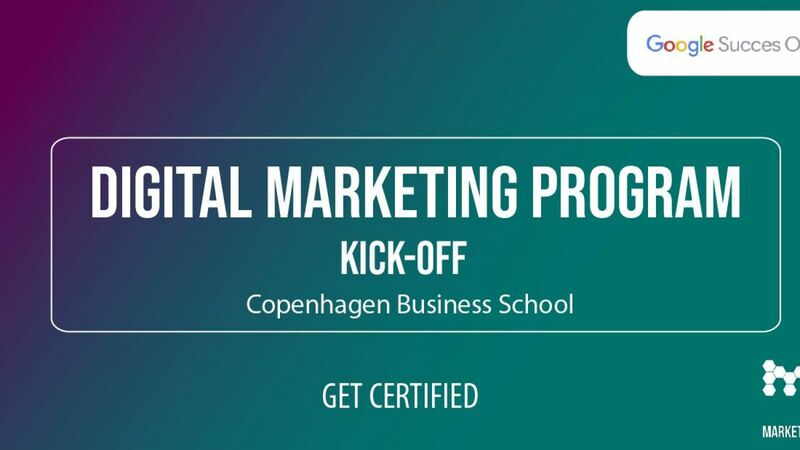 Monday 18th of February 2019 at 15.00-16.35 Google Succes Online and MarketingLab will be "kickin off" the Digital Marketing Program 2019 with an incredible inspirational and relevant program. At the Kick off you will get to meet the Country Marketing Manager from Google Denmark, Mathias Linneman, CEO of workshome, influencer and expert in marketing Halfdan Timm and alle the trainers og The Digital Marketing Program 2019. Don't miss the oppurtunity to get insight and knowledge about digital marketing as well as the digital future of work. The sign up will open on February 6th and it is free to participate.